FOXY FRIEND A nearly 60-year program in Russia has bred tamer and tamer red foxes, including variants like this with a silver coat, that behave much like domestic dogs. For nearly 60 years, scientists in Siberia have bred silver foxes in an attempt to replay how domestication occurred thousands of years ago. Now, in a first, researchers have compiled the genetic instruction book, or genome, of Vulpes vulpes, the red fox species that includes the silver-coated variant. This long-awaited study of the foxes' DNA may reveal genetic changes that drove domestication of animals such as cats and dogs, the team reports online August 6 in Nature Ecology & Evolution. At the Institute of Cytology and Genetics of the Russian Academy of Sciences in Novosibirsk, Russia, researchers bred one group of foxes for ever-tamer behavior, while another group was bred for increasing aggressiveness toward humans (SN: 5/13/17, p. 29). 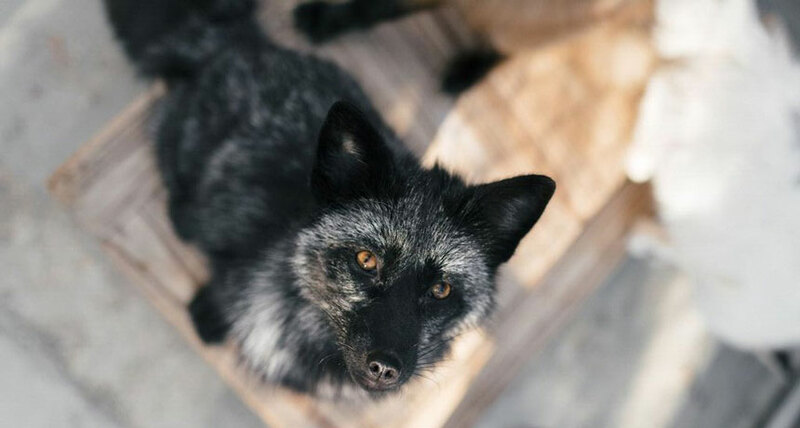 Rif, the male silver fox whose DNA serves as the example, or reference, genome for all members of the species, was the son of an aggressive vixen and a tame male. Geneticist Anna Kukekova of the University of Illinois at Urbana-Champaign and colleagues also conducted less-detailed examinations of 30 foxes' DNA: 10 foxes each from the tame and aggressive groups and 10 animals from a "conventional" group that hadn't been bred for either friendliness or aggression. Those genomes are an invaluable resource for researchers studying domestication, behavioral and population genetics and even human disorders such as autism and mental illness, says Ben Sacks, a canid evolutionary geneticist at the University of California, Davis, School of Veterinary Medicine. "It makes all kinds of research possible that weren't before," he says. Domestication researchers want to pinpoint the genes that set tame foxes apart from conventionally bred and aggressive foxes because those genes may be the same ones that were altered in dogs and other domesticated animals. Kukekova and colleagues haven't yet identified the precise genetic changes that led to the foxes' tameness. But the team did find 103 regions of the genome where tame foxes tend to have one pattern of genetic variants and aggressive foxes are more likely to have a different pattern. Some of the regions contain multiple genes and DNA tweaks. Narrowing the search to precise DNA changes will take more work, but the research is an important first step, says geneticist Elaine Ostrander, chief of the Cancer Genetics and Comparative Genomics Branch at the National Human Genome Research Institute in Bethesda, Md. She likens it to zooming in on a map. "Before you get to the right house, you have to get to the right street. Before you can get to the right street, you have to get to the right city, state and so on, she says. "It's exciting that they're to the right city at this point. Now they have to find the right addresses." The list of 103 regions gives researchers clues about where to focus future studies, she says. Many of the genes in the 103 regions are involved in brain development or function. In particular, the researchers found that a gene called SorCS1 is involved in making friendlier foxes. In people, some versions of the gene have been associated with autism or schizophrenia. Versions of that gene, which encodes a protein involved in transmitting chemical information between brain cells, determined whether foxes wanted to interact with humans “or never wanted to come close or see you again," Kukekova says. One version of SorCS1 was found in 61 percent of tame foxes, but none of the aggressive foxes.